YOKOHAMA, JAPAN—“In the next few days,” the new central bank chief who will succeed outgoing Bangko Sentral ng Pilipinas Governor Amando M. Tetangco Jr. will be made public, the head of the Duterte administration’s economic team said Thursday. “Surely, it will be in the next few days,” Finance Secretary Carlos G. Dominguez III told reporters on the sidelines of the Asian Development Bank’s 50th annual meeting when asked when Tetangco’s replacement will be announced. Dominguez earlier said it would have to be President Duterte himself to decide on who becomes BSP Governor on July 1 as well as announce his decision. Dominguez had likewise convinced the President to reappoint Tetangco to an unprecedented third term by amending the BSP charter, but the latter declined the offer, citing health issues. Under the BSP charter, a Governor can only serve two six-year terms. Tetangco was first appointed in 2005 by then President Arroyo and then reappointed by former President Aquino in 2011. Tetangco’s second term will end in July. A number of names have cropped up as next in line to be BSP Governor, including Deputy Governors Diwa C. Guinigundo and Nestor A. Espenilla Jr., considered the front-runners as Tetangco and Dominguez had both indicated they wanted “insiders” to take on the job. 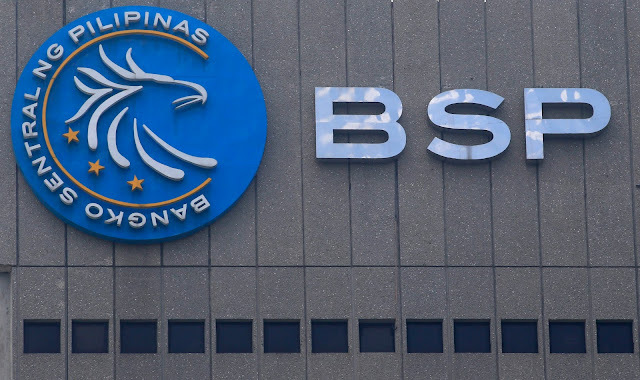 The other personalities who are said to be being considered for the top BSP position include former Department of Trade and Industry chief as well as Monetary Board member Peter V. Favila, as well as East West Banking Corp. president Antonio C. Moncupa Jr., who also heads the ruling party’s PDP-Laban Research Planning and Development Institute.